Prayerfully read Genesis 12:10–13:18 at least two times and then read the following notes. 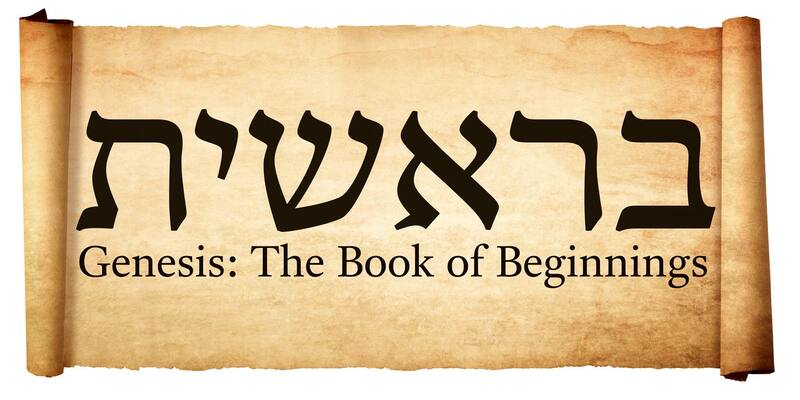 After the creational prologue of 1:1–2:3, the book of Genesis divides into two unequal halves of five sections each. The first half of the book (2:4–11:26) deals with the history of humanity as a whole, from its creation to the birth of Abram. The second half of the book (11:27– 50:26) opens with the sixth section, the “family history” of Terah (11:27–25:11), which recounts the foundational story of Abram from birth to death. In this second part of the sixth section, God continues to make promises to Abram despite his disgraceful failure in Egypt. (12:10a) After the tremendous promises and prompt obedience of 12:1–9, one might have expected the narrative of Abram’s life to be filled with success and blessing. Yet the very first specific event that is recorded is an almost unmitigated disaster. Abram’s initial act of faith was followed, not by observable blessing, but by the coming of a great famine and a departure from the land of promise. (12:11) Given the obsession of our culture with perpetual youthfulness as the primary mark of beauty, some have found Sarai’s to-kill-for attractiveness at the age 65 somewhat surprising. We must remember that: (1) Ancient standards of beauty were not nearly as focused on youthfulness as are those of our culture; (2) As Sarai lived to be 127 (Genesis 23:1) she was just barely past the midpoint of her life when this story took place. (12:13a) While it is difficult to know what exactly Abram was trying to accomplish by this ruse, the most probable explanation seems to be that he “hoped that by claiming to be Sarai’s brother he could fend off suitors by promises of marriage without actually giving her away. This suggestion is confirmed by other stories in Genesis where brothers try to delay their sisters’ marriages (Genesis 24:55; 34:13–17).”2 If Abram was known from the start to be Sarai’s husband, no such procrastination would be plausible and Abram’s murder would become a real possibility. (12:13b) No matter what his intentions, it is undeniable that in this story Abram demonstrates moral cowardice of the first order. Perhaps the single most central thread of the patriarchal narratives of Genesis is how God fulfilled his promises despite every conceivable failure on the part of those to whom those promises were made. The reason there is so little moral commentary in these stories is because they ultimately aren’t about what the human characters did or failed to do but about what the covenant Lord of Israel accomplished in spite of those characters. (12:15) Abram failed to take into account the possibility that Pharaoh himself might become interested in Sarai. Rather than negotiating, Pharaoh simply took Sarai into his harem from the start and paid out the wedding presents afterwards. (12:16a) While it is not made explicit, it does seem to be implied that the Pharaoh did commit “actual adultery” with Sarai. (1) In the similar story in Genesis 20, it is made very explicit that Abimelech had not touched Sarah—yet no such denial is given here. (2) As Pharaoh had time to give Abram a wide variety of gifts in exchange for his “sister,” she was likely in his house for a considerable amount of time. Further down this dark path we need not go. (12:16b) Abram’s clever plan for self-preservation had now spun entirely out of control. Though he had preserved his own life and even gained considerable riches, his wife was now in the harem of a pagan king with no human possibility of being restored to her husband. (12:17) For the first time since Abram’s sordid descent into Egypt, the Lord shows up. He delivers Sarai from Pharaoh’s harem with great plagues, the same Hebrew word that is later used for the plagues sent through Moses. (12:18) Though God had commanded Abram to be a blessing, (see the notes on 12:1–3), his deceptive self-protection brought nothing to the Egyptians but destruction. “The Egyptian emerges rather saintly, but Abram, the one in whom the Egyptians and other nations are to be blessed, appears rather sinister.”3 Yet no matter how many times and how badly Abram messed up, God could not and would not abandon his promises to him. (13:2) Though wealth can be a blessing, it can also be a curse. It seems clear that we are to see the strife with Lot as arising from Abram’s ill-gotten gains in Egypt. Not only did Abram’s scheme in Egypt cause untold anguish for his wife—it ultimately became one of the long-range causes of the destruction of his nephew’s family. No matter how carefully we think we have accounted for every possible outcome, we simply have no way of knowing how far reaching the consequences of our self-protecting schemes will be. (13:4) After the unmitigated debacle in Egypt, it is enormously encouraging to hear that Abram is once again calling on the name of the Lord. (13:7–9) Though Abram’s sinful gains were the ultimate source of the strife between Lot and Abram, his response to the conflict that ensued clearly showed the influence of his renewed walk with the Lord. (13:12) While the location of Sodom and Gomorrah are no longer known with certainty, the contrast drawn here seems to indicate that Lot had moved to the eastern side of the Jordan River, outside of the land of Canaan. (13:13) The city of Sodom has given its name to the particular unnatural perversion its inhabitants attempted in Genesis 19:4–11. Yet as Ezekiel 16:49–50 makes clear, the sexual perversion of Sodom resulted from a deep rejection of God of which even those who did not participate in the perversion itself were also guilty. The same spirit that comes to scorn even the creational distinction between male and female is already at work in the creation of a distinction between rich and poor that did not exist at creation. At the core of both of these sins is the smug indulgence of those whose lives are lived for the satisfaction of their appetites—regardless of the particular form those appetites take. Unchecked appetites, regardless of their nature, will always drag their slaves toward ever-increasing abominations. (13:14) “Lot ‘raised his eyes’ but saw only the region of Sodom; Abram ‘raised his eyes’ and viewed the entire land.”5 One day all who have been redeemed will look northward, and southward, and eastward, and westward through the gates of the New Jerusalem (Revelation 21:13) to see that this promise has been fulfilled and the Seed of Abraham (Galatians 3:16) has caused all those meek enough to call on his name to inherit the entirety of the earth in the new-creational kingdom of the last days. (13:16) This promise finds its ultimate fulfillment in Revelation 7:9. (13:18) Though Abram was far from finished with doing things his own way, he continued to walk with God. In the end, it is not the depth of our failure but Who we turn to in the aftermath of each failure that determines the outcome of our lives. Abram got off to a good start in his journey of faith, building an altar and journeying through the land of promise. Yet when the coming of a famine forced him out of Canaan and into Egypt, his choice to rely on his own cleverness for protection resulted in disaster. Far from being a blessing to the nations, Abram brought only destruction. To make matters worse, his ill-gotten Egyptian gains led to strife and division within his own family. Thankfully, God’s promises had never been based on Abram’s performance. No matter how dismal Abram’s failures, God could not and would not give up on his plan to accomplish his good purposes for creation by fulfilling the promises he had made to this particular man. What are some of the situations in which we, like Abram, might be tempted to protect ourselves by deceptive “cleverness”? Examples: Concealing income on our tax returns; Hiding sins that we promise ourselves we will deal with privately because we fear the consequences for our ministry or relationships if we confess them to others. How might we, like Lot, be tempted to make decisions for our future that are based solely on the goods we can see with our eyes? Examples: Moving for the sake of a higher income without considering the spiritual consequences of our choice for our family; Postponing generosity until our financial goals have been met.